Pope Benedict XVI will celebrate his 80th birthday on April 16th, 2007. Sadly, he doesn't have too many birthdays remaining before he plunges into the depths of Hell in his sins without Jesus Christ. The Word of God is clear that salvation is NOT OF YOURSELVES... it is the GIFT OF GOD... NOT OF WORKS! So why do Catholics continually boast of their self-righteousness when asked why they're going to Heaven? Ask a Catholic "why" he or she believes they're going to Heaven and prove me wrong. I don't mean to be unkind by calling anyone a "dummy"; but it is dumb to follow any religion that claims to believe the Bible while teaching doctrines totally contrary to the Bible. I recently witnessed to a man, who told me he had only converted to Catholicism to make his wife happy. I shared the Biblical Gospel with him, explaining that Catholics pervert the Gospel by ADDING works to faith, i.e., faith alone in Christ. I told him that every Catholic I had ever asked concerning "why" they were going to Heaven gave me the same self-righteous answer. A short time later, the man went to look for his wife and asked her "why" she was going to Heaven. She replied, "Because I support the Catholic church, recite the Rosary, go to mass, and keep the commandments of the church. Her husband looked at me in frustration and said, "You're right!" He then began to witness to his wife, but she refused to get saved. Blasphemy!!! You cannot show me even one Scripture from the Word of God where we are told to trust in Mary, by reciting the Rosary to be saved. In fact, the word "Rosary" is NOT a Bible term. The Rosary is straight out of the pits of Hell. Jesus condemned vain repetition in Matthew 6:7. According to Our Lady of Fatima (whose teachings are officially sanctioned by the Vatican), a person can obtain eternal life through Mary by reciting the Rosary. In sharp contrast, Jesus Christ proclaimed in John 14:6... "I am the way, the truth, and the life: no man cometh unto the Father, but by me." 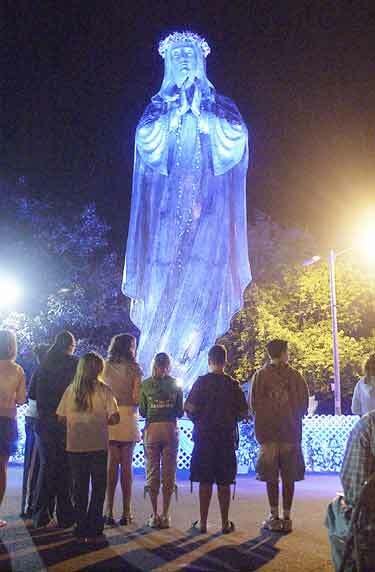 How could Catholics be so arrogant, so blind, and so apostate as to believe that salvation is found in Mary? Now, 'Com on folks, only a dumb person would follow a religion that claims to believe the Bible, while simultaneously going totally contrary to the Bible. I tell you, Catholicism is of the Devil. 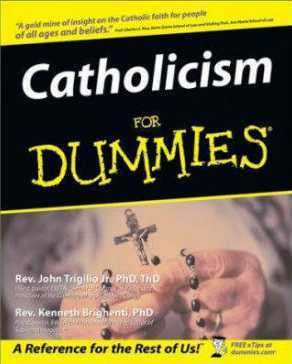 Catholicism is for dummies because you'd have to be willingly ignorant to follow such an idolatrous religion. Catholics are renowned for BOWING to statues of all sorts; but Exodus 20:4,5 in the Word of God prohibits even bowing to graven images. Shame on Catholics for disobeying the Bible! Jesus stated in Mark 7:9, "And he said unto them, Full well ye reject the commandment of God, that ye may keep your own tradition." Catholics deliberately reject the Bible in exchange for their manmade traditions. Although the Bible speaks of "traditions," It certainly never speaks of manmade doctrines that blatantly contradict the Word of God. Woe unto the Catholic Church, which is NO church at all. Catholics have churchianity without Christianity, i.e., religion without truth. From the cradle to the casket, Catholicism offers a complete religious package. Although it may seem enticing to those who desire to trust men instead of God, there is no salvation in the Catholic religion. 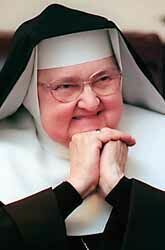 Catholicism is a prisonhouse of religion... a den of idol worshippers! 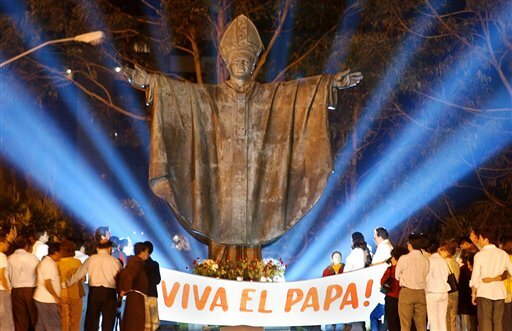 "Viva El Papa" means "The Pope Lives." But does he really? 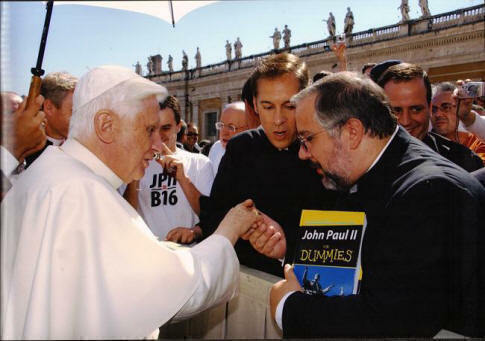 The Bible teaches that the deceased Pope is burning in Hellfire.